Whenever I review a resource on New Testament Greek, I begin with the admission: my Greek is terrible. In seminary I took two years of Hebrew and only learned enough Greek to scrape out an exegesis assignment. Greek was the language of philosophy. Hebrew was the language of poets and prophets. That is a huge difference. But of course Greek is also the language of the New Testament, and despite my linguistic preference, the words of Jesus are coded in Koine. So when I preach through a New Testament passage, I find myself struggling through translating it (often with assistance from Bible Software with its virtual stack of lexicons). I am no expert. I do little more than play in the language, but I have picked up a few things along the way about Greek verbs and syntax and how the language functions. I don’t know much (♬but I know I love you . . . ♬) and to read New Testament Greek, I need help. All kinds of help. Kregel Academic publishes a number of student aids designed to help people like me who struggle with Greek. I previously reviewed The Handy Guide to New Testament Greek (2012) by Douglas Huffman. That book offered a nice beginners summary of Greek grammar, syntax and a good discussion of how to sentence diagram. Now a new ‘Handy Guide’ delves into deeper waters. The Handy Guide to Difficult and Irregular Greek Verbs: Aids for Readers of the Greek New Testament is designed to help us strugglers to wrestle through difficult vocabulary. Jon C. Laansma and Randal Gauthier have compiled a resource to help students of Greek move beyond the basics and begin reading. This is a ‘handy guide’ and short. It is an 80 page paperback booklet which you can put inside the cover of Nestle-Aland28 to use as a reader-aid on the go. The booklet divides into two parts. Part I lists difficult and irregular verbs (difficult & irregular, from the perspective of beginners) in (usually) their indicative forms from most frequent (>200x) to least frequent (>10x), with a brief translation. Part II, provides an alphabetical list of verbs with their compounds (including forms that only appear once or twice in the New Testament)(27). Laansma and Gauthier aim at enabling readers to identify the principle parts of various verb forms: (1) present & imperfect, (2)future active & middle, (3) aorist active and middle, (4) perfect and pluperfect active, (5) perfect and pluperfect middle and passive, (6) aorist and future passive). So if you locate a verb in the list (in its indicative, dictionary form), you will discover each of the six forms (or the forms that appear in the NT), with most common tenses in bold font. So when you encounter a strange form (to our eyes), their Part II gives us an at-a-glance reference to the verb forms. Notice of Material connection, I received a copy of this book from Kregel Academic in exchange for my honest review.
. . . that is only possible if we don’t pray mystically with closed eyes, but messianically, with eyes wide open for God’s future in the world. Christian faith is not blind trust. It is the wakeful expectation of God which draws in all our senses. The early Christians prayed standing, looking up, with arms outstretched and eyes wide-open, ready to walk or to leap forward. We can see this from the pictures in the catacombs in Rome. Their posture reflects tense expectation, not quiet heart-searching. It says: we are living in God’s Advent. We are on the watch, in expectation of the One who is coming, and with tense attentiveness we are going to meet the coming God. (83-84). This Moltmann quote begins, in typical Protestant fashion, taking a swipe at the mystics for promoting interior navel gazing instead of open-eyed and incarnational awareness of the world around them. I kind of get tired of that critique. Certainly some mystics, some of the time have evidenced a spirituality of privatized preoccupation and platonic idealism, though attention, expectation and a cultivated awareness of God and the world is also the prevue of the mystics. However, I do appreciate Moltmann’s larger point, of praying wakefully and watchfully—looking for signs of Christ’s in-breaking Kingdom—a sort of hopeful awareness of God’s coming. It is just the sort of reminder I need. As a pastor, I’ve preached about how the life of prayer primes our pump to see God at work in our lives. Praying expectantly for God to work in our situation, awakens our spiritual senses, allowing us to see the God who is always at work. Praying helps us take notice. But I am mostly lousy at prayer. I circled back to Moltmann in spiritual direction. I had been speaking to my director about feeling vocationally stuck, my longing to be rooted in place and my hunger for deeper community. I have been in my current city less than a year, and feel the creative tension of wanting to do something beautiful for God but not having a clear sense of what next steps look like. My director suggested journaling (something I’ve done in the past but got away), and contemplative walking in the neighborhood. Neither practice is magical, but both practices involve slowing down and taking notice of what is happening in my life and the world around me. It is a movement away from my attempts at strategizing next steps to a spirituality of taking notice what is. Implicit in this call to take notice, is cultivating an awareness of God’s Spirit and the things I am being invited into. I want to attend to this. So with Moltmann and the mystics, I’m going walking. Most books are meant to be read. Other books, like this one, help you to read. A Syntax Guide for Readers of the Greek New Testament is designed to “assist readers of the Greek new Testament by providing brief explanations of advanced and intermediate syntactical features of the Greek text” (7). Charles Lee Irons, the current director of research administration at Charles Drew University and an ordained Presbyterian pastor, compiled this resource “to encourage students, pastors and others to devote themselves to reading large portions of Greek New Testament, and ideally, all of it” (8). Picking up where parsing tools, readers editions, readers lexica, and Bible software leaves off, Irons aims to iron out difficult syntax and text critical issues. A Syntax Guide follows closely critical editions of the 27th and 28th Editions of the Nestle-Aland Novum Testamentum Graece. The guide is comprehensive with more than six-hundred pages of textual notes, plus indexes. Though it is not exhaustive, because Irons focuses solely on advanced issues. Some verses are skipped past without any comment and with other verses, Irons comments on a single word or phrase. Still there is enough here to give an intermediate student of Greek an at-a-glance aid to translating and understanding the passage before her. A mid level grammar (i.e. Daniel Wallace’s Greek Grammar Beyond the Basics), a critical apparatus and a good lexicon will unearth all the essential lexical issues with greater detail than this; however, what Irons has done is provide a quick resource for students and readers of the Greek New Testament, with references to the lexicons (most often BDAG), grammars and other resources for those who want to dig deeper. Most importantly, this is a small book–about the same size of your Greek New Testament. You can take this and your Nestle-Aland to Starbucks and make serious headway on the text, instead of bringing a whole library of heavy text books with you. Anyone who has wrestled out a translation of Greek as sermon prep, for a paper or devotionally will benefit from this resource. I give it four stars. Note: I received this book from Kregel Academic in exchange for my honest review. I have a confession to make: my Greek is awful. In seminary, I was expected to be able to exegete the Greek (and I did) but I focused on Hebrew for my biblical languages credits. My Hebrew is much better than my Greek. Just like Jesus (I can’t back that up). However, Greek is the language of the New Testament (the Christian Scriptures) and if you want a handle on what the Bible said in its original context, it is helpful to be able to go back to the Greek. Chadwick Thornhill is the chair of theological studies and assistant professor of apologetics and biblical studies at Liberty University School of Divinity. He wrote Greek For Everyone: Introductory Greek for Bible Study and Application to help students of the Bible understand how Greek works, so they could be ‘better students of the New Testament.’ He focuses on morphology, grammar, structural analysis, and introductory interpretive matters (introduction, xi). Unlike typical introductory Greek texts, there isn’t an emphasis on learning huge lists of Greek vocab. In all Thornhill instructs readers to memorize only about ninety-two Greek words, His eighteen chapters are focused on understanding the language and how words are put together. There are commendable things about Thornhill’s approach. He walks through the basics of grammar—verbs and nominals, cases, articles, pronouns, adjectives and prepositions, verb moods, infinitives, and participles—comparing similarities between Greek and English sentence construction. If you get a handle on what Thornhill is saying, you will not only parse verbs correctly but be well on your way to reading the New Testament well. He imparts the tools to read words in context well. I appreciate the fact that he leaves his discussion of word studies until near the end of the book. Too many Bible readers, armed with a Strong’s concordance and personal piety, strong-arm the Greek language, interpreting words anachronistically and in keeping with a preconceived theological grid. Thornhill demonstrates that there may be some real value to word studies, but this comes when we can read words in context: in sentences, verses and in wider passages. More helpful than knowing a Greek word, its root meaning, and various senses, is knowing how each word functions in a sentence, and overall argument to convey meaning. So, I really appreciate Thornhill’s approach. Unfortunately, books on language learning lack whimsy. There are parts of this book I had to read and then re-read because my eyes glazed over. This isn’t Thornhill’s fault. It is an introductory text. You got to learn the building blocks of language before you hear its poetry. I just wish the process was more engaging. This is a helpful book and I would recommend it especially as a resource for people who have had some Greek and want an at-a-glance refresher on the rudiments of Greek grammar. The chapters are easily navigable for quick reference and Thornhill does a good job of describing the fundamentals of Greek grammar. Secondly, readers who have had some language learning (beyond Koine Greek) will also readily make use of Thornhill’s. If readers have no previous language learning, Thornhill does define terms (like normative, vocative, infinitives, participles) but I wonder if a more conventional Greek text (which spends more time with each part of grammar) would be more helpful for the general reader. Thornhill assumes a conceptual framework that a true language novice does not possess. Then again, my imagined linguistic neophyte wouldn’t pick up a book on biblical Greek. I think it’s worth asking: is this Greek For Everyone? I give it four stars. Note: I received a complimentary copy from Baker Books in exchange for my honest review. I’m enthusiastic about the Kregel Exegetical Library. I have read several volumes from the series and have been impressed by its depth and its usefulness for expository preaching. The first volume I ever read, was Allen Ross’s A Commentary on the Psalms: Volume 1, which in addition to providing solid commentary and textual notes for book one of the Psalms, also provided a superb introduction to Psalm’s literary genres and Hebrew poetics. In Volume 2, Ross explored books two and three of the Psalms. With A Commentary on the Psalms: Volume 3, Ross completes his journey through the Psalter, this time exploring books four and five (Ps 90-150). I have been eagerly anticipating this volume. This last third of the Psalm’s have some of my favorite Psalms. I love Moses’ communal lament in Psalms 90, the assurance of divine protection in Psalms 91, the joyous praise of Psalm 100, the lengthy meditation on God’s law in Psalm 119, and Psalms of Ascent, the comprehensiveness of God’s plan in Psalm 139, and the way lament is swallowed up by praise in the concluding five psalms. These are Psalms I turn to, to cement my courage and commitment to God. I came to trust Ross’s voice when his Introducing Biblical Hebrew gave me a basic understanding of Hebrew syntax. As with Allen’s other Psalms volumes there are a number of Hebrew word studies here, and this volume provides an index of them (including those in Volume 1 & 2). Allen is conversant with the scholarly literature but this commentary is accessible to the working pastor. Ross isn’t too technical but he is not light on detail either (at 1018 pages!). One-hundred-eighteen pages are devoted to a single psalm, Psalm 119, where Ross walks through each stanza in the Hebrew acrostic (by way of comparison, Leslie Allen’s devotes about thirty pages to that Psalm in WBC, Psalms Vol. III). For each psalm, Ross provides a translation of the psalm with textual notes, a discussion of composition and context, an exegetical analysis, and a discussion of the Psalm’s message and application. The preface relays that Ross’s approach to the Psalms was shaped by a class he took in seminary which was co-taught by Bruce Waltke and Haddon Robins. Waltke graded the exegesis, Robinson graded the exposition. Ross tells us that Waltke said he didn’t think it was a good class, but the experience was transformational for Ross. He still strives to hold exegesis and exposition together in his interpretation of the Psalms (12). I appreciate the detail and passion that Ross brings to his task. This volume is a fitting conclusion to his Psalms commentary. I give this five stars. 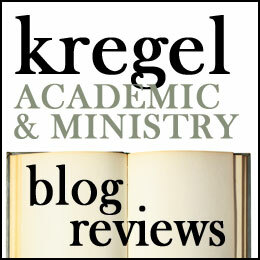 Note: I received this from Kregel Academic in exchange for my honest review. This coming Thursday is Ascension Day–the day in the church year when we celebrate Jesus’ post-resurrection-trip-to-heaven. While this is a significant event in Christ’s life and the life of the church, it doesn’t get much play in today’s churches. Growing up in church I remember 2D disciples and flannelgraph feet, but I don’t remember much else said about Jesus’ Ascension. If your church recites the Creeds then it is affirmed: “he ascended into heaven.” However it is little emphasized in worship, in readings, or preaching. Only Luke records the event (though he does it twice) and we may wonder what the big deal is. The Ascension is the festival which confirms the grace of all other festivals put together–without which the profitableness of every other festival would have perished. For unless the Savior had ascended into heaven, His nativity would have come to nothing . . . and His passion would have borne no fruit for us . . . and His most holy resurrection would have been useless. -St. Augustine, quoted in Tim Perry & Aaron Perry, He Ascended into Heaven ( Brewster, MA: Paraclete Press, 2010) 3. The following observations are my musings on the significance of the Ascension. I affirm the event as a historic reality. Jesus stood with his disciples somewhere near Bethany where they witnessed him taken to heaven. While the events of Jesus’ Ascension are only described by Luke in Luke 24 and Acts 1, there are a number of passages assume its reality. The Ascension means Jesus is absent. In another sense, us post-Pentecost believers know Christ’s presence with us through the ministry of the Spirit. We cling to Jesus’ promise to be with us, even to the end of the age (Matt. 28:20). But let’s not gloss over Jesus absence. One moment Jesus was with his disciples, the next moment he was taken up into heaven and they were told that in the same way he departed, he would one day return. Because of the Ascension we are people between times: Jesus is no longer with us bodily, Jesus will one day return. We pray and work toward the Kingdom of God but as post-Ascension people we live in the ‘already but not yet’ tension of the Kingdom of God. The Ascension means that Jesus is sitting at the right hand of God. Jesus is exalted and that means Jesus reigns! This is good news, especially in a world with marathon bombings, political and social unrest, bloodshed. Things on earth are not all as they should be (or will be! ), but we can be confident that the risen and ascended Christ, sits with God and intercedes on our behalf. So Thursday night celebrate the Ascendant one and give thanks that the Christ who is absent will one day return, that his salvific, incarnational work is completed, that he reigns in glory and holds you in his hands. Kregel Publications is always coming out with resources to help students learn Biblical languages. I have reviewed The Handy Guide to New Testament Greek and have used their workbooks for Greek and Hebrew and highly recommend Peter Silzer’s & Thomas John Finley’s How Biblical Languages Work which was my introduction to Biblical grammar and syntax. If you’ve tried to learn Biblical languages (or really any second language) you know that you just don’t learn another language, you also have to learn how language functions. There are lots of rules to memorize, word endings, and paradigms And despite products and programs galore which promise that you can learn a language in a few short hours, proficiency of any language requires a great deal of memorization. That is what makes the Singing Grammarian by Daniel Zacharias. Zacharias has produced a helpful resource for reviewing and learning the letters, grammatical rules, and word forms. The songs and videos go through the Greek paradigms and for audio and visual learners are a great aid for memorization. Some of the songs are a little campy and there are lots of little creative flourishes that Zacharias adds. This is part of their charm and liked them alot. Language learning is hard work so when someone approaches it with good humor it makes it interesting. My one complaint is that I think that these would be great also in an MP3 format so I could load them on my ipod and listen while going for a run. You learn languages by living in them and something like this which you could ‘grab and go’ would be great too.